Few studies have repeatedly evaluated quality of life and potentially relevant factors in patients with benign primary brain tumor. The purpose of this study was to explore the relationship between the experience of the symptom distress, functional status, depression, and quality of life prior to surgery (T1) and 1 month post-discharge (T2). This was a prospective cohort study including 58 patients with benign primary brain tumor in one teaching hospital in the Taipei area of Taiwan. The research instruments included the M.D. Anderson Symptom Inventory, the Functional Independence Measure scale, the Hospital Depression Scale, and the Functional Assessment of Cancer Therapy-Brain. Symptom distress (T1: r = −0.90, p < 0.01; T2: r = −0.52, p < 0.01), functional status (T1: r = 0.56, p < 0.01), and depression (T1: r = −0.71, p < 0.01) demonstrated a significant relationship with patients' quality of life. Multivariate analysis identified symptom distress (explained 80.2%, R inc 2 = 0.802, p = 0.001) and depression (explained 5.2%, R inc 2 = 0.052, p < 0.001) continued to have a significant independent influence on quality of life prior to surgery (T1) after controlling for key demographic and medical variables. Furthermore, only symptom distress (explained 27.1%, R inc 2 = 0.271, p = 0.001) continued to have a significant independent influence on quality of life at 1 month after discharge (T2). The study highlights the potential importance of a patient's symptom distress on quality of life prior to and following surgery. Health professionals should inquire about symptom distress over time. Specific interventions for symptoms may improve the symptom impact on quality of life. 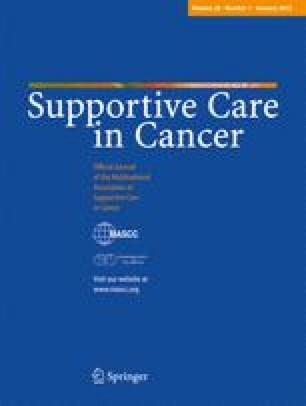 Additional studies should evaluate symptom distress on longer-term quality of life of patients with benign brain tumor. The authors would like to thank Dr. Chieh-Yu Liu for comments on statistics. This study was supported by Grant NSC96-2628-B-227-001-MY2 from the National Science Council of Taiwan.